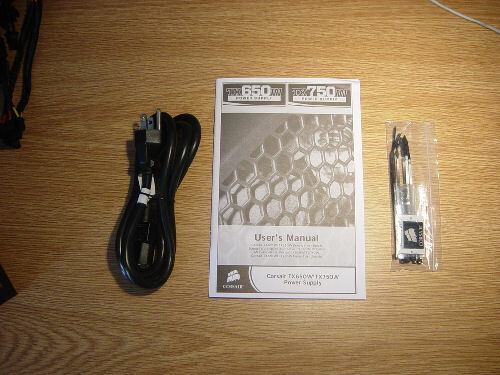 So what comes in the box is basically the manual, the AC power cord, a case badge with a couple of cable ties, and the TX750W unit itself. There are obviously some benefits and some downsides to this large number of connectors. 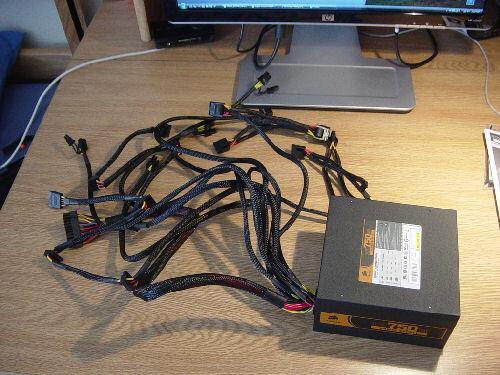 For one thing it can be a potential mess for those who don't need these many connectors but luckily all the cabling is nicely sleeved. With the supplied cable ties one can remedy the issue of dangling cables. A nice thing about the cabling is that there are 3-4 connectors on each cable, making it efficient for the minimalist to hook up to four components using one cable. This can definitely add to less clutter in the end and the sleeves on the cables make it that much better. 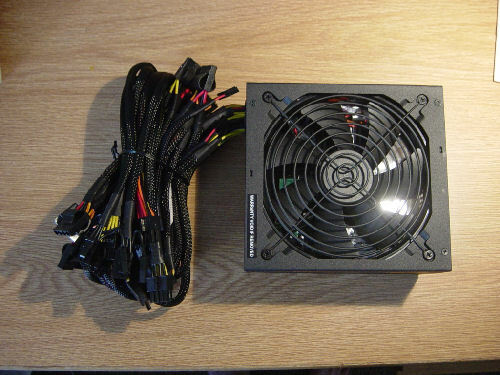 One thing also worth noting is the fact that the PSU uses a 120mm fan to cool itself, making it not only a potentially powerful addition to your system but also a quiet one. Corsair definitely put a lot of attention to detail on this line because we notice that there were no sharp edges to the casing and also took note of its nice matte paint.